Mr. Sciancalepore, a former Director with The Moody Law Firm for 5-years, was recruited back to the firm in 2013 after 8-years of recognized executive management service and accomplishments within the law industry. As the principal financial and administrative management executive of the firm, Mr. Sciancalepore provides overall direction to the firm on behalf of the shareholders and participates in establishing and coordinating the firm's strategic plan, as well as its organizational business goals as a member of the firm's leadership team. 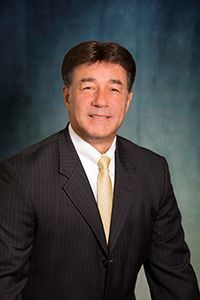 He holds a Masters in Business Management from LaSalle University; has served previously as Firm Administrator and Chief Financial Officer of a prominent defense law firm, and served in senior executive management positions with other business entities, to include Chief Financial Officer for a national portfolio finance company. As a career military veteran who garnered many honors, decorations and awards, he as a "mustang", rose through the enlisted ranks rapidly to ultimately become a commissioned officer in the U. S. Navy, where he closed his 28-year military career as a Commanding Officer. 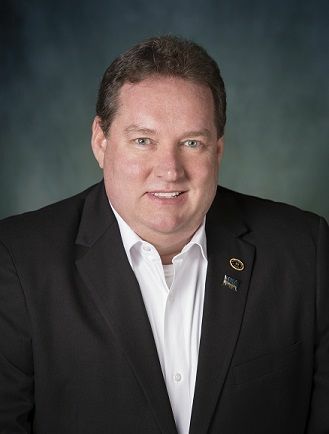 He is active in numerous community organizations and is a Past-President of the Hampton Roads Chapter of the Association of Legal Administrators. Mr. Sciancalepore was also nominated and ultimately selected as a "Finalist" in the Virginia 2010 "CFO of the Year Award" competition by Virginia Business Magazine. Ms. Moody is the Director of the law firm’s Mass Tort Division and a tenured Paralegal with more than 20 years with The Moody Law Firm. She oversees an experienced and proven Team of legal professionals whose primary responsibilities include providing dedicated and compassionate legal services to our pharmaceutical and medical device clients in civil actions involving plaintiffs against one or more corporate defendants in state or federal courts. Under her leadership, her team also specializes in providing initial administrative and screening services of all Mass tort clients to determine eligibility for litigation and continues providing dedicated support of each client’s needs throughout the entire legal process. Ms. Moody holds a Paralegal Certificate from the American Institute for Paralegal Studies and degrees from Tidewater Community College and Barton College. In Ms. Noah’s capacity as the firm’s Director, Human Resources, she is directly responsible for recruiting, staff training and development, employee relations, benefits analysis and administration, compensation, compliance, personnel policy development, and aligning always changing HR initiatives with the firm’s strategic objectives. 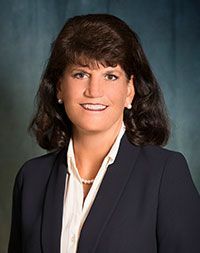 She is a proven professional with more than 36 years of experience in law firm practices, including over 25 years of service with The Moody Law Firm, where she started out working and eventually leading teams in virtually every area of the Mass Tort practice area. Besides her unwavering commitment to balance the needs of our employees with the high intensity of the positions they support on a daily basis, Ms. Noah’s proactive and calming ways have directly contributed to ensuring personnel resource continuity and optimization throughout the firm. For current job posting and careers opportunities, please visit our Careers page. Mr. Simmons has been with the Marketing and Investigations Department since 2006 and has assumed the role as Marketing Manager in 2018. His responsibilities include development, implementation, and management of the firm's internet marketing and social media interfacing, web page design, branding, newsletter communication, as well as client feedback, and expanding/improving the firm's business development strategies. Kenn holds an Associates of Business Administration (ABA) from Tidewater Community College, Bachelor of Science Degree in Chemistry/Biochemistry (BS) from Old Dominion University and a Master's in Business Administration (M.B.A) from Old Dominion University. In addition, he also holds a Paralegal Certificate from Old Dominion University. 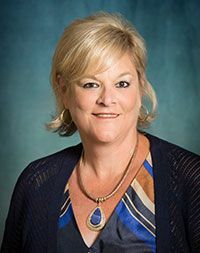 Ms. Champion manages the Accounting Section of the firm, which is directly responsible for the financial reporting, billing, fiduciary accounting, and accounts payable. She also serves as the firm’s operational liaison to our financial service partners, including banks, vendors and funds transfer agents. 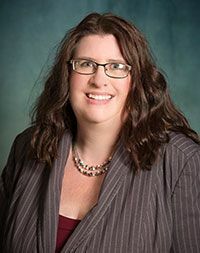 Ms. Champion is a proven and valued source of institutional knowledge, which she garnered from her nearly 16 years of diverse accounting experience working in law firm practices that supported both time & billing and contingency accounting infrastructures. Ms. Champion holds a Paralegal Certificate from the Mansfield School of Business. 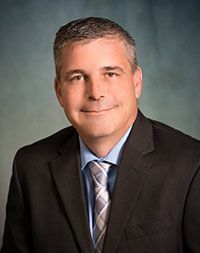 Mr. Sawyer is responsible for the firm’s information technology resources, including network administration, hardware specification and procurement, software management, and equipment repair and replacement functionality. His department also manages the firm’s telecommunications equipment, copiers, printers, safety and security systems, and audio-visual support requirements. Although Mr. Sawyer has led the firm’s IT department for the past 3 years, he brings a diverse and proven information technology background to the firm that is supported well by his Comptia A+, Network +, Security +, Microsoft (MCSA) and Project Management (PM) Certifications. Mr. Sawyer also supervises the firm’s General Services Department, where his responsibilities include document production and scanning; procurement and inventory of office supplies; and all mail, package, express delivery and courier services.